Currently, two Cleveland Indians hitters are on pace for MLB history. Back in 1927, the New York Yankees had two legends in their lineup. This team is usually referenced for how great a team or player can be. In 1927 the Yankees had Lou Gehrig and Babe Ruth on the team. The duo had 117 and 97 extra-base hits respectively. Since then no pair in MLB history recorded 90 or more extra-base hits. This year, Francisco Lindor and Jose Ramirez are both on pace for 90 extra-base hits. Which is a huge deal as mentioned above. Just another stat to add for this fantastic duo is the following. Francisco Lindor and José Ramírez each went deep in the bottom of the first inning tonight. Jordan Bastian of MLB.com posted the following tweet that was a very interesting stat that the duo accomplished during yesterday’s game. Payton Vince is either talking about sports or watching sports. He covers sports for Metro Networks and is also a writer for LastWordOnSports.com. He grew up in Brooklyn Heights,Ohio for most of his life then around senior year of high school moved to Cleveland. A fan of the Cleveland Indians, Cavaliers, and a Pittsburgh Steelers, he graduated from Cuyahoga Heights High School (Class of 2014) and also graduated from the Ohio Center for Broadcasting in 2015. He bowled and played baseball in high school, and is a huge fan of independent wrestling and WWE, and can almost always find him at an independent show. Lastly, Payton is a backstage interviewer for Mega Championship Wrestling in Elyria, and is one of the three on ‘That Sports Show’ which airs daily from 2-4pm on AllSportsCleveland.com. 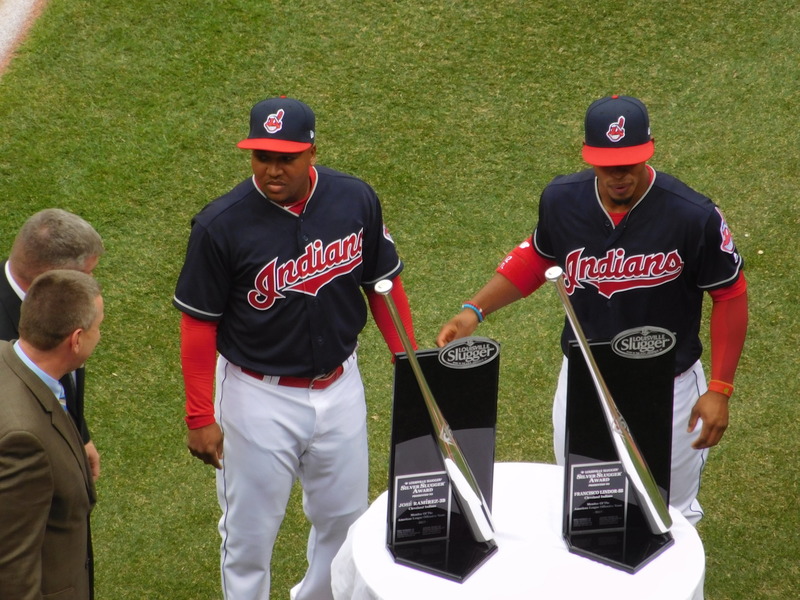 I believe there is a chance for this Indians Duo to surpass the Gehrig/Ruth MLB history mark. They are both young and I do hope it is done. Let it be known Cleveland is just not sending up smoke signals from our TeePee here on the Lake Erie shore. Always was, Always will be a Tribe Fan (Tribfandian).